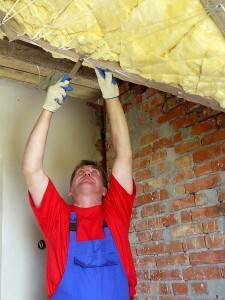 When it comes to insulation contractors, 31-W Insulation has some of the best in the southeastern United States. If you live in the Greenville area of South Carolina and need new insulation installed in your home, our team of seasoned experts can handle the job quickly and thoroughly for you. That way, your house will be protected against heat transfer better than ever, which can help your HVAC system use less energy to maintain a consistent temperature, possibly even saving you money on your electricity bill. At 31-W Insulation, we’ve been installing insulation in homes since 1972, and we’ve spent decades refining and perfecting our process. Also, our insulation contractors are all our own employees, never subcontractors, which helps us ensure that they will uphold our high standards of workmanship and customer satisfaction. If you live in Greenville, South Carolina, and would like to learn more about why our insulation contractors are some of the best in the industry, contact 31-W Insulation today.